Grundig today unveiled a range of new technologies focussed on meeting the evolving needs of the consumer, while also contributing to a more sustainable future. To be a part of the solution to pollution, Grundig also developed a new microfiber filtering technology for use in its washing machines. This new technology filters out 99.9% of fabric microfibers leaking into water resources, a system integrated into washing machines that will help protect our environment for a clean and sustainable future. Since 2014, Grundig’s parent company, Arcelik, has ran a campaign that recycles consumer’s used home appliances at designated recycling centres. 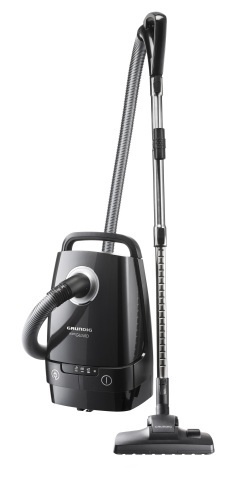 Using innovative processes, the plastic materials found in these second-hand appliances are removed and are given a second life in Grundig’s Bodyguard Vacuum Cleaner. 90 percent of the plastic materials used to produce the vacuum cleaner are materials from WEEE facilities of Arçelik. Grundig is part of Arçelik A.Ş, the leading home appliances manufacturer of Koç Group, a Fortune Global 500 company. Having been on the market for over 70 years, Grundig enjoys over 90% brand awareness in the German market due to its high-quality products and consumer focused approach. Since entering the German white goods market in 2013, Grundig has become Europe’s leading full range manufacturer of home electronics. The brand remains true to its core values including its user-friendly and elegant design, eco-consciousness, high standards and quality control. With a portfolio of more than 500 different products – ranging from OLED TVs, mobile audio devices, hair styling devices, vacuum cleaners and kitchen appliances to ovens, dishwashers and washing machines – the brand offers a solution for every room in the modern home. Grundig has received numerous accolades for the quality and design of its products including Product Design, Red Dot Design and Plus X Awards, as well as critical acclaim from Stiftung Warentest, a leading global testing institute in Germany and TrustedReviews, an independent UK testing organisation. Grundig products are predominantly manufactured in Grundig-owned production sites in Europe and marketed in more than 65 countries worldwide.